What to do when the mind and the body are not on the same page. Kristy Ware, As a Strength Trainer, Nutrition Coach, and Pelvic Floor & Core Rehab Specialist, I help working moms regain their fitness & fabulousness. Here are a few tricks I keep in my back pocket for days when I’m struggling to make my workout happen. Playing Thomas the Train on the living room floor in my cozy plaid pajama pants and over-sized burgundy hoodie is how my day begins, as per usual. It’s no different than any other day except that I have a date with myself to exercise — and I am totally unmotivated. My wife is home to care for our son, I had a good sleep the night before but I am still not feeling inspired. Fresh snow has covered the ground and trees outside our condo and the temperature is below freezing, which is probably part of the reason why I’m feeling less motivated to leave. A list of excuses why I should not get out to exercise dominates my thoughts. I am in a mental battle with myself and I have to turn it around. “You be Percy, and I’ll be Thomas,” he says. “OK”, I tell him. “But only for a few more minutes”. “Why? Where are going, Mimi?” he asks. “I am going outside to do my exercises,” I tell him. I figure if I said it aloud it will hold more weight and I will actually go do it. “But Mimi, I want you to stay and play with me.” he says. “I will only be a short minute and I will come right back, promise.” I reassure him. It’s warm and cozy in here, are you nuts? He wants you to stay and play and he will be sad. You’re tired and a bit low energy so you should probably just rest..
You can workout tomorrow instead; it may not be so cold. When that de-motivating voice starts going it is tough to shut off. It is easy to come up with a million excuses for ourselves as to why we SHOULDN’T do something. It’s easy to listen to that voice trying to give us an “out”. I am a pretty energetic person and a fitness trainer, yet even I have my down days when I have to dig deep to find the motivation I need to get up and go. The message my brain is giving my body just does not match. My mind is sending the “let’s get up and do something” message and my body is saying “forget it — I’m not in the mood”. These days are soooo challenging. Can you relate? This particular morning in question, I had to inspire myself to find my WHY and get myself out of the cozy living room and move my body. Being a parent, sometimes even the best plans fail but by being flexible and making a plan to start with, it reduces my stress and keeps me focused. I know if I miss my scheduled window to get active I may not get another chance that day. I will feel as though I let myself down. I will dwell on the fact that I didn’t make it happen even though I had no valid excuses. This is where beating ourselves up comes into play and it’s not worth it! If you can get your workout clothes on you’re halfway to feeling great! Once I change into my workout clothes it just feels right to be exercising. I have a few outfits that I wear only when I’m working with clients or training myself. Once I don those clothes, my body knows it’s time to get moving! I visualize how I will be feeling 10 minutes into my workout. I connect with those feelings of happiness, satisfaction, energy and drive. For most people, it’s getting going that’s the problem not sustaining the workout. Within 20 minutes of exercising you will forget what was holding you back and your mind and body will be thanking you — I promise. Would I skip out on a date with my sister or my wife? Not likely! I put my workouts into my calendar so I know I have a plan and are far more likely to stick with it. Carve out time for yourself everyday, it’s so important. Exercise is just one component of the mix. Healthy eating, meditation, stretching, yoga and journaling are all great self-care practices you can and should schedule. I have affirmations around the house to remind me of what I am working towards and why. Affirming your goals and intentions is very powerful. Success does not come overnight and nor will your health goals. When you are in need of motivation, read your mantras and refocus your thinking. The biggest thing about making exercise a part of your life is finding things that you enjoy. If you love to dance, then join a Zumba class or put on your favorite music and dance in your living room. If you love to strength train, get some weights and find a home workout routine. Forcing yourself to do exercise that you absolutely despise will not lead to success. Motivation comes from knowing your WHY and finding the feelings behind your choices. Try a few different tips and tricks and you would be surprised at how much better you will feel knowing you are making an effort every day. The next time your brain and body are just not connecting, remember these tools and you will find your inspiration — I always do! 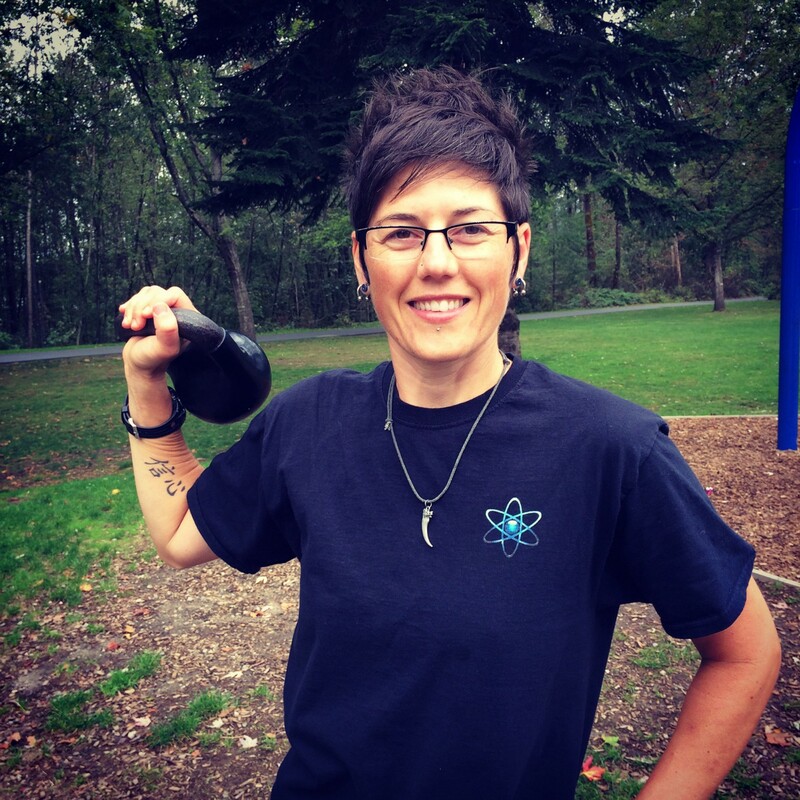 Kristy Ware has been in the health and wellness industry for over 10 years and is a Pelvic Floor & Core Rehab Specialist, Strength Trainer and Nutrition Coach. She helps busy women regain their fitness and fabulousness. Kristy believes that true health is achieved through a holistic approach, by taking care of your mind, body and soul. She loves being outdoors and enjoys every season to the fullest - snowshoeing, skating, hiking, swimming, biking and kayaking. A recovered "gym rat", her mission is to encourage women to regain their strength, love their bodies and rewrite their old stories. When she is not working, you can find her cooking up healthy food in the kitchen, out dancing with her wife, or playing Lego with, or without, her 4 year old son. She lives in beautiful British Columbia, Canada.